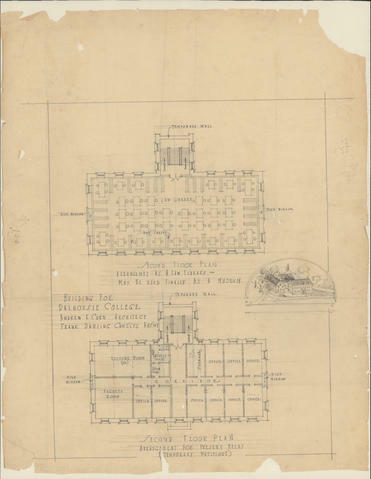 Item is a technical drawing of a building for Dalhousie College. The building may be a suggested building that was never built. The drawing shows two versions of the second floor plan, including an arrangement for the college's present needs (offices, faculty room, and lecture room) and an arrangement for a law library that may be later used as a museum.